Welcome ! This site is about recent research in computational chemistry. My main focus is the development of a novel interactive approach to molecular modeling, taking advantage of recent progress in the field of virtual reality combined with HPC. This project is described here: FVNano project. Another area where the above method as well as more familiar ones can be applied concerns the investigation of large conformational changes and mechanical properties of macromolecules. A directly related sub-project concerns molecular visualization, and a separate HyperBalls website is available. There is now a YouTube channel with movies related to research described at this website. You can visit my YouTube channel here! Have a look at the latest publications on the recent publications page. The full publication list and an annotated full publication and communication list in French are also available. Some documents are deposited in my open access archive on HAL. There is a page with selected posters, too. The most actively maintained part of this website are the project and overview pages. These pages include my latest news blog. Ce site - majoritairement anglophone en accord avec les usages du domaine scientifique - comporte des parties en français. Un aperçu global des recherches, des dépêches, la description de mes travaux sur la réalité virtuelle et les molécules, une brève sur le fonctionnement de l`enzyme DNase I, l`étude du récepteur GLIC, de sa fermeture et son interaction avec des molécules anesthésiques, mon mémoire d`habilitation à diriger des recherches, le résumé pour le prix de la DCP-SCF 2010, mon CV et la liste de mes productions scientifiques. Visitez aussi le site du congrès GGMM 2011 qui donne des informations sur le XVIIe congrès du Groupe de Graphisme et Modélisation Moléculaire qui se tiendra du lundi 30 mai 2011 au mercredi 1er juin 2011 à La Rochelle. Current biology, chemistry and materials science make extensive use of computational methods ranging from applications at the cellular level, e.g. in systems biology, to detailed atomistic simulations of molecular assemblies, materials or small molecules. Take part in the excellent scientific programme at this Discussion, in which experts in biology, chemistry and computational science will stimulate discussions and initiate research aimed at deeper involvement, beyond the boundaries of each discipline. Take part in the excellent scientific programme at this Discussion, in which experts in biology, chemistry and computational science will stimulate discussions and initiate research aimed at deeper involvement, beyond the boundaries of each discipline. Previous News: Spotlight on general anesthetics binding to GLIC, a nicotinic receptor homologue. In a letter to Nature (20 January 2011), we describe crystal structures, functional measurements and molecular dynamics simulations of GLIC in complex with propofol and desflurane, two general anesthetics. This links to the corresponding Nature article website. This work is also featured by two Faculty of 1000 evaluations (Must Read and Recommended). Previous work in PNAS featured a one microsecond molecular dynamics simulation of the pentameric ligand-gated ion channel GLIC. This simulation actually showed some interesting modifications of the anesthetics binding cavity. The free open access article is available here, and here is a short movie (Nury et al., PNAS, 107, 2010, 6275-6280). This work was rated Must Read by the Faculty of 1000. The first work on the GLIC system was published in the 2009 January issue of Nature, where the crystal structure of an open form was described. We used additional molecular dynamics simulations to characterize this state. Here is a link to the Nature website, and here is a short movie. There is also a press release. (Bocquet et al., Nature, 457, 2009, 111-114). Faculty of 1000 rated this paper twice, either as Must Read in F1000 Biology or as Recommended in F1000 Medicine. The projects are listed below. Click on the logo for more information about a particular project. Support comes from the European Union, funding agencies, supercomputer centers and companies. 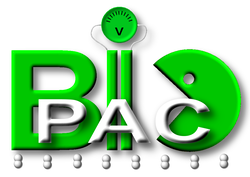 BioPac: Biomolecules as hydrogen oxidation catalyst in fuel cells. FVNano: towards a virtual laboratory for biomolecular simuations and materials science. MDDriver: Driving Molecular Dynamics codes by coupling with a CPU intensive visualization module. FonFlon: “Relation fonction/fluctuation chez les proteines”. About the link between biological function and fluctuations for proteins. While I was an EC Research fellow at Oxford University, I worked on computational studies of the bacterial transporter protein FepA in membranes (Marie Curie Fellowship MCFI-2000-01210). This project is related to J. D. Faraldo-Gómez's work on the ferric hydroxamate receptor A (FhuA). The simulations were extended to other outer membrane proteins of beta-barrel shape, in particular the enzymes OmPLA and OmpT. On a broader level methodological aspects such as simulation convergence were studied in collaboration with a number of colleagues. I started working on biological systems in Mark SP Sansom's group at the Laboratory of Molecular Biophysics, University of Oxford, where I was a postdoctoral fellow during the years 2001 and 2002. Currently I am a researcher ("Chargé de recherche de 1ère classe") working in Paris at the Institut de Biologie Physico-Chimique. My work is carried out in Philippe Derreumaux's group in the "Laboratoire de Biochimie Théorique" of the CNRS (UPR9080). Copyright © 2001-2007 Marc Baaden.